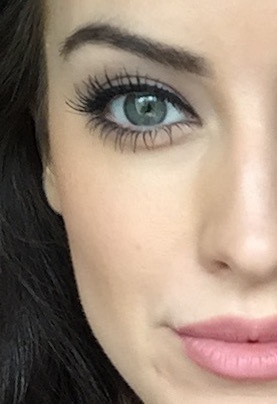 My latest Loreal haul + THE BEST MASCARA EVER! So I heard some really great things about some of Loreal latest offerings, I decided to give a few of their items a whirl! 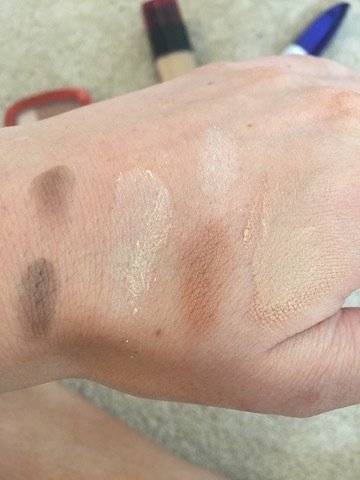 I bought both a few skin items and a few eye items across their ranges ( from true match to glam bronze) to see where they really shine! 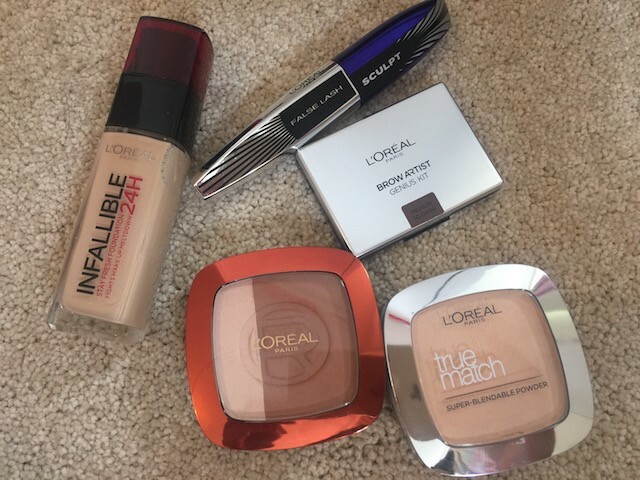 So off to Boots I went and in my basket was Loreal Infallible 24 hour wear foundation, Loreal true match powder, Loreal sculpt mascara, Loreal eyebrow brow artist genius kit and Loreal glam bronze duo! 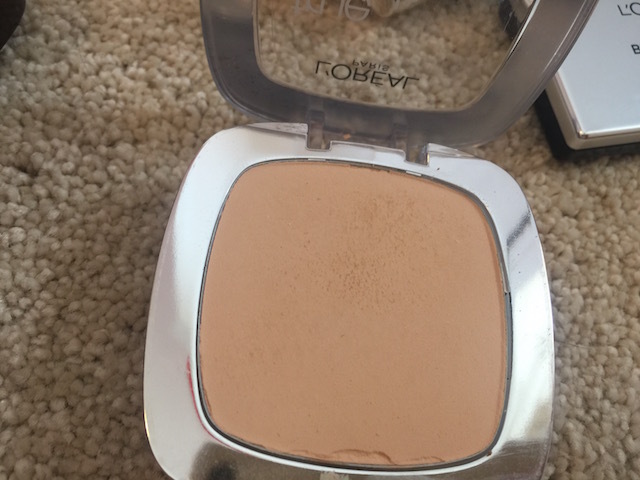 First of all its a really light texture which I was surprised about, but it gives a medium/heavy coverage which feels pretty weightless if I’m honest. I picked this colour up but its a bit light for me, I’d probably say its around a nc30 in MAC terms. It was very very matte, which isn’t really my bag but it did give a really nice smooth velvety finish….and the great news….It really did last allllll day! No smudge, no settling, no patches. I think it does live up to the claims and stay fresh however although it didn’t dry out my skin I wouldn’t say it felt hydrating. Does it live up to them? Again I didn’t pick the right colour for me the florescent lighting threw me off, but theres nothing worse then setting foundation with a powder thats too dark for you…orange dry face? – No thanks – I’d rather go lighter and bronze it! but the texture and coverage was very good. Not too cakey or powdery or dry, just a nice velvet skin finish. I did find it did darken a bit with wear, which I guess its supposed to do – as when I first put it on it was extremely light. 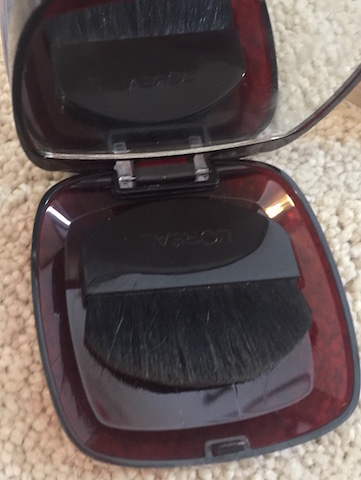 It also comes with a handle little dater underneath which is always good for on the go touch ups. So all in all it does live up to the claims! Claims: “In just one stroke, sculpt 3 effects: tightline at the root, volumize at the core, fan-out at the tip. This was the item I was most exited to try and wow. 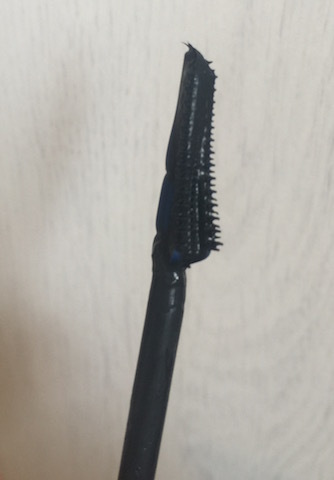 does this give you lashes, the brush seems to tightline your lashes and give you extreme length and pull up/curl them at the same time – don’t ask me how but its got to be the brush! The brush is like nothing I’ve ever seen before and looks a bit like a spaceship, but it works so I’m very happy with it! I put one coat on and it was so dramatic I almost felt it was a bit over the top for the day, but I do love a lash so I continued on with it…the only downside I would say is I think the formulation ‘black’ I picked up wasn’t dark enough for me, I prefer a real dark, dark carbon black which this wasn’t, but it did give a black colour. I will say that my mum tried this and had mascara down her face at the end of the day as she uses very heavy day creams, so be careful of smudging dewey skinners! Lived up to the claims and more, star product! 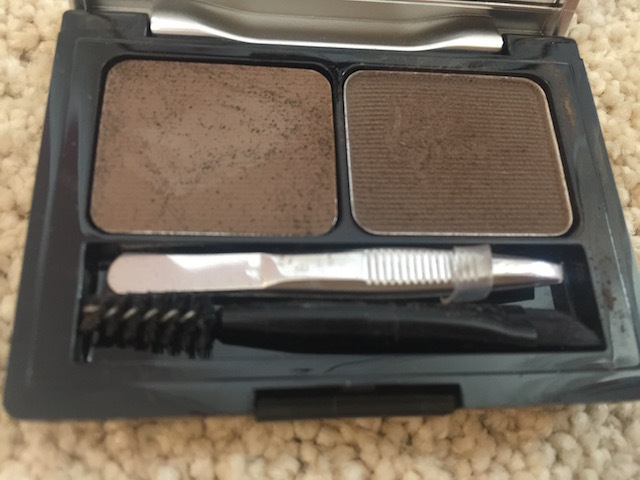 Not that I ever use the brushes that make up comes with but the brow brush and tweezers were a great touch, it would been nice if the brow applicator as a little tuner for precision. The wax was great but the colour was a little off for me ( a bit too reddy brown), and the powder had a great silky smooth, dense colour which was bendable which I really liked, it meant I could blend out the inside on the brows to a lighter colour which I always appreciate with a brow colour! The lasted all day so I must say, it does live up to the claims. This was a really nice velvet finish and is great for the day, it warmed up my foundation perfectly but I did think its a bit of an odd colour, its almost like they’ve tried to make a colour for both pink and yellow undertones and its come out with a peachy undertone…(which I will admit at first glance it put me off a bit – but after applying it I do think that was very clever and it worked!) 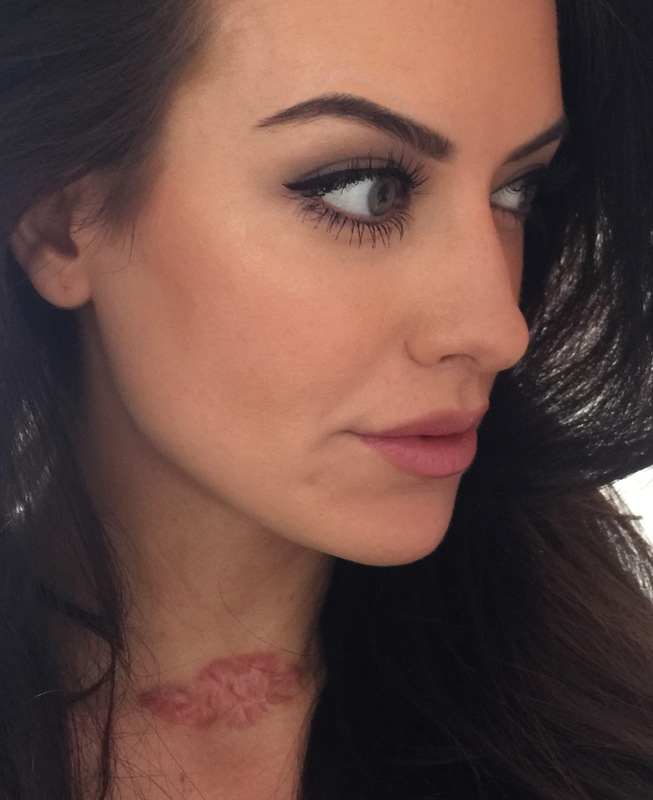 It blended seamlessly and was a nice transparent colour, giving you extra colour not coverage which is my absolute fav! – and didn’t look cakey. 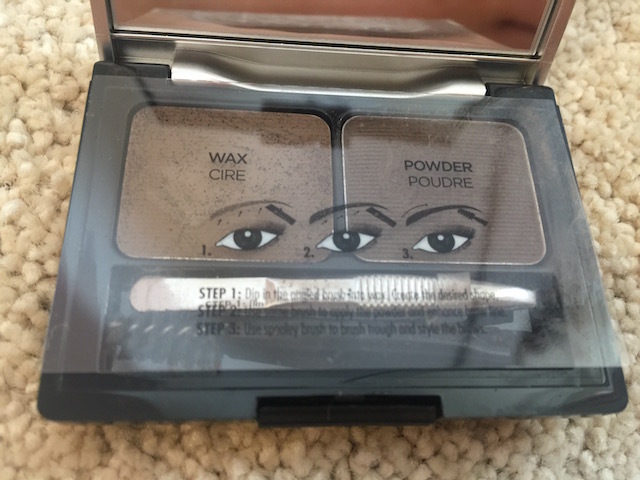 The powder is very fine and I really really enjoyed the texture of it. 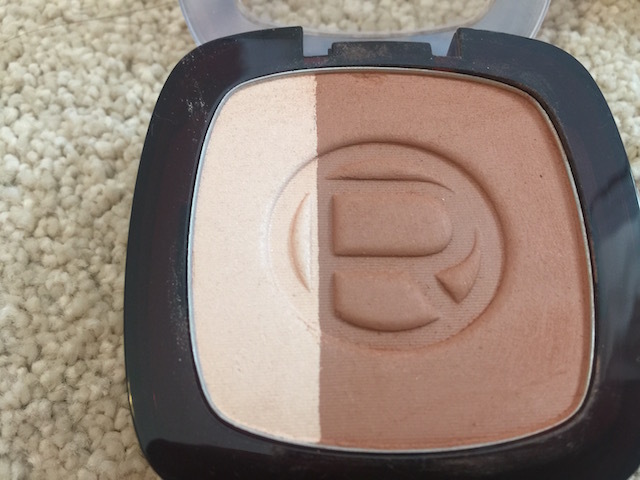 The highlight section when used on its own I found to be a bit small however it is great for natural day time highlight, don’t expect a woosh of shimmer its very subtle but with a bit of build its a nice day time glow. However when used together its a really nice touch and does exactly as it says! All in all I really enjoyed using the products, and although some of the things looked as if I wouldnt like them – I actually found all the products to be very good and very reasonable in price. My star product was the mascara but take that with a pinch of salt anyone that has problems with mascaras smudging, as it really smudged on my mum, it didn’t on me though! 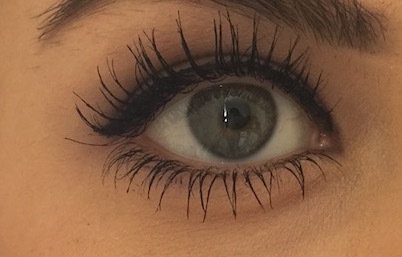 It really gave me massive, OTT lashes which not a lot of designer brands even manage to do! 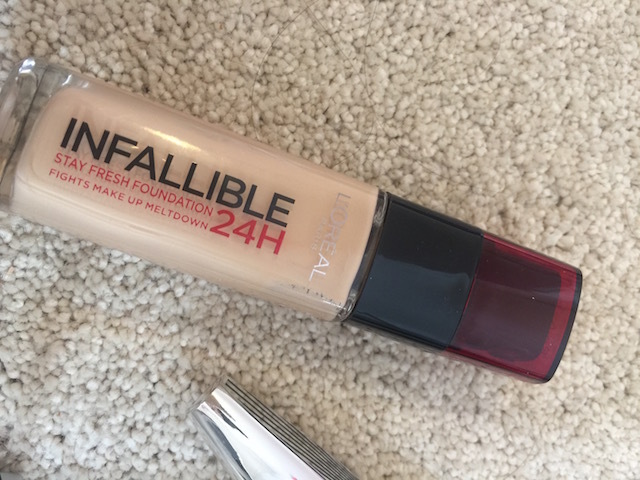 The infallible foundation too is great for an everyday wear with matte finish! Well worth trying! Wearing all of the products! 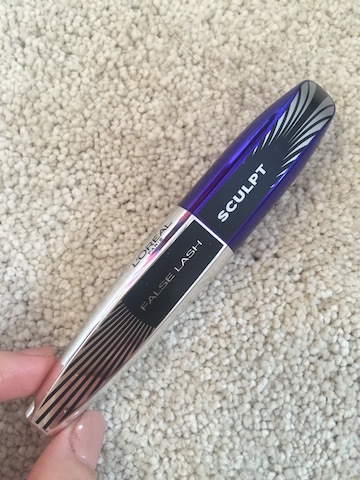 I hope you enjoyed my little mini haul review, you can scroll down for a video of the Loreal False Lash Sculpt mascara as it was so good I had to do a little vid to tell the world! Previous Article← REVIEW: PRO BLO! – CURL ME — AT HOME BLOW DRY SET!